Happy McDavid day! For all you hockey fans its draft day and Edmonton gets to draft the phenom Connor McDabid. It’s been an exciting day watching the trades unfold. For those of you who do not care about hockey here is the Watcher in the Water sans base. 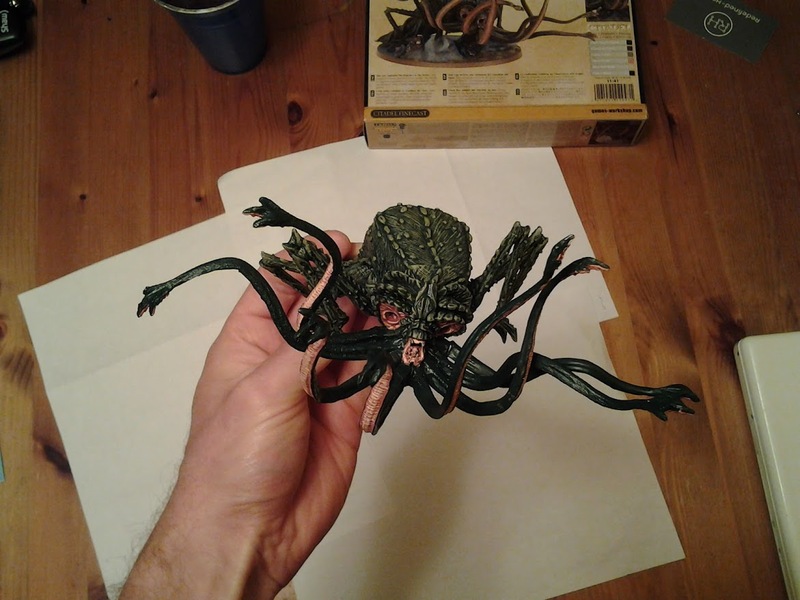 It’s possible dry brushing may have worked with this model. 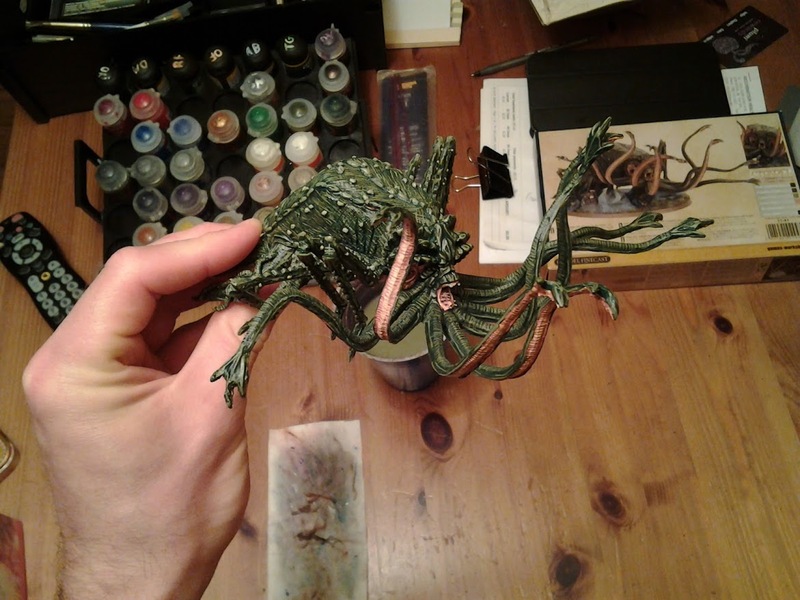 My Catachan Green is still kind of runny so I thought it would be a big risk with the dry brush route. Base layer is Dark Angel green. The first highlight was Catachan green. The final highlight was a mixture of Catachan Green and Bleached Bone. I added a grey/beige colour (the exact name eludes me) to the final highlight mix for the “warts”. 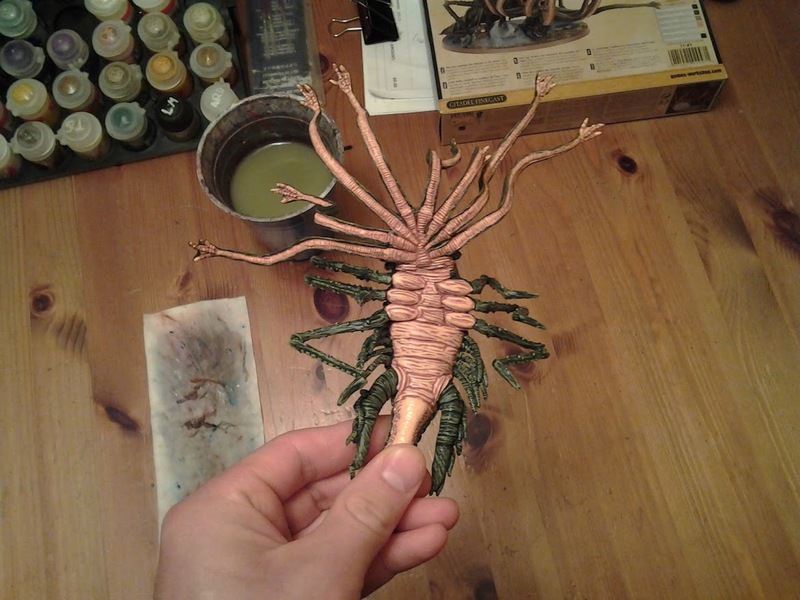 Being sick and missing a couple of days of work helped me finish this model. Shazam! 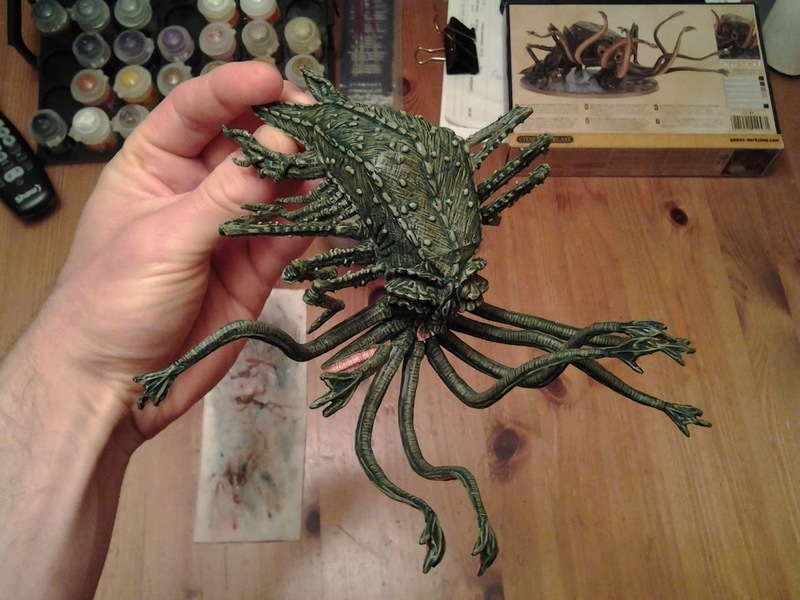 Here’s a photo of the main body complete but the tentacles have not been highlighted. 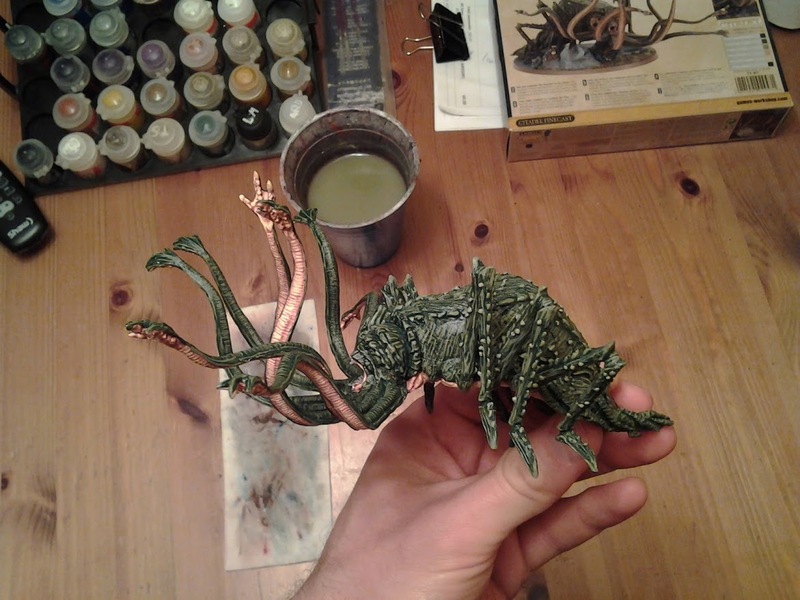 Shows the difference between the base colour and highlights. 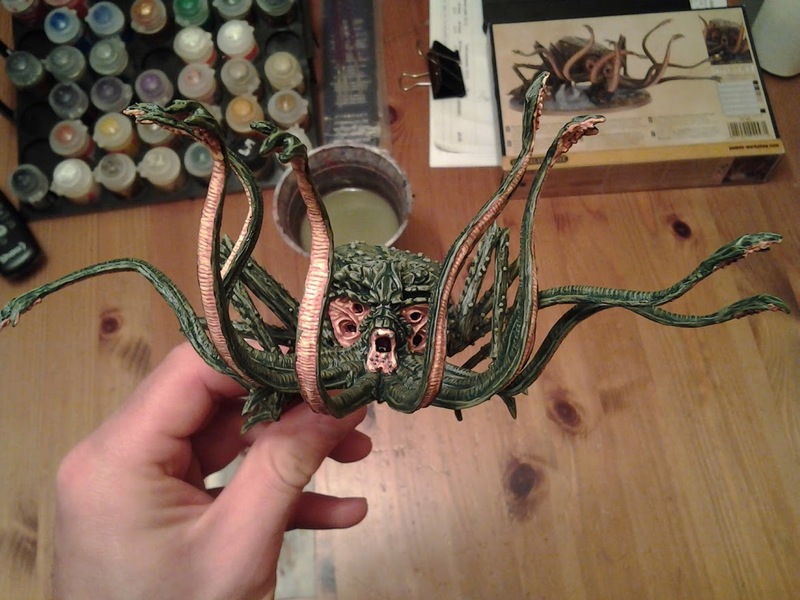 Next Watcher WIP will be the base.